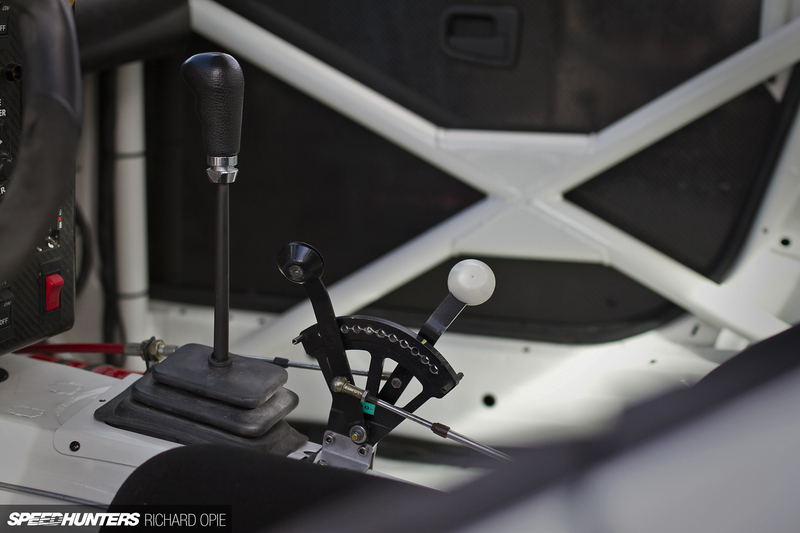 While my main post on the simply fantastic GT3 party at Highlands Motorsport Park centered around the glamour kids and their spectacular machinery, what I didn’t touch on were the supporting acts, which too had some uber-cool hardware competing. Above all the GT3 machines present that weekend, no car caught my attention more solidly than an E36 BMW sedan running in the ‘Rennsport’ support category. This isn’t just any old clapped-out E36 grocery-getter though, far from it. The glorious, naturally aspirated induction resonance as this particular 3 Series accelerated hard towards the final corner of Highlands announced its lineage loud and clear: Super Tourer. Cars normally mundane, transformed into the extraordinary and driven wheel-to-wheel and mirror-to-mirror with absolutely no holds barred. Not ever, has any race formula derived on this planet captured my attention like the Super Touring era between 1992 and 2001, so when confronted with the opportunity to immortalise this ex-Tony Longhurst BMW and share it here on Speedhunters, I got that excited I broke into a sprint while trying to track down both car and owner in the pit area. Thankfully, current custodian Lindsay O’Donnell was happy to make it happen, rolling the freshly-restored car into the center of the pits for a few (okay, so I went completely overboard) shots. Like many cars of its era, the BMW has worn several battle liveries. 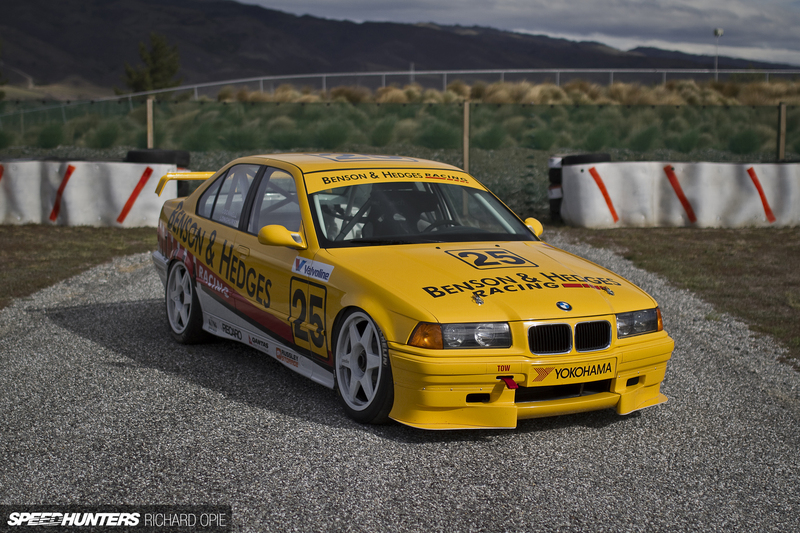 Beginning life in 1993 as an Italian series campaigner, the E36 was shipped to Australia in 1994 to run in the then new Australian Super Touring series by the Australian works BMW team. Subsequently passing through a number of privateers, Lindsay acquired the car in 2003; first restoring it to the original Italian livery, then recently completely refurbishing the car again in the distinctive Benson & Hedges colours as run by Longhurst. Excuse the lo-fi video, but this car is forever etched into the fabric of Australasian motorsport history, courtesy of Longhurst’s altercation with team mate Paul Morris at Winton Motor Raceway in 1994. Well, that and the fact it actually won the 1994 championship in Longhurst’s hands. I think this exemplifies just why Super Tourers inspire such enthusiasm: massive 18-inch wheels (especially for 1993!) shod in fat racing slicks, shoehorned into otherwise standard wheel arches. Yes! 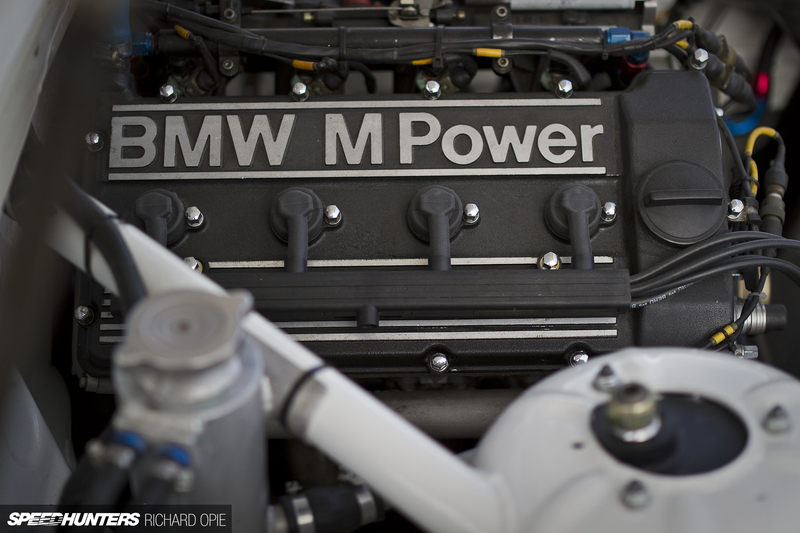 As per all Super Tourers of the period, the BMW packs a 2.0-litre, naturally aspirated powerplant. Lindsay’s car displays the typically functional layout and finish of a works-built racer. Clean, purposeful and above all, potent; the canted-over DOHC four-cylinder output around 280hp in period, with compression of 13:1 and an 8,500rpm rev limit. 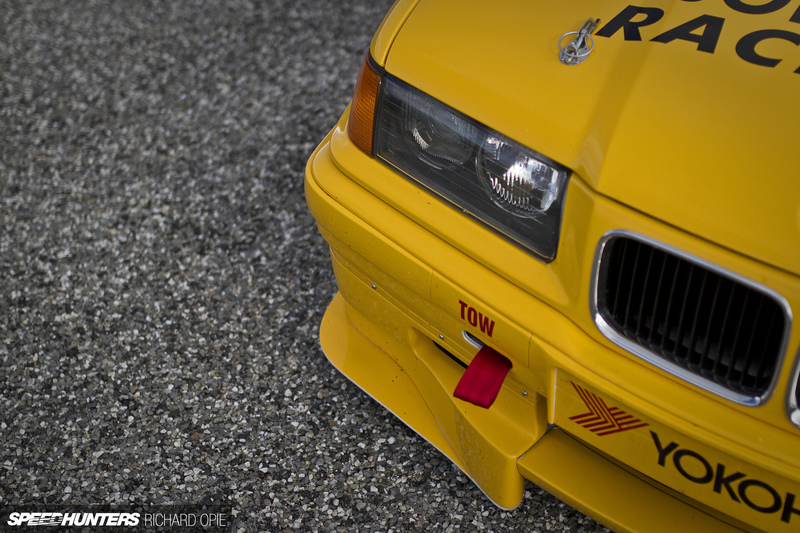 Although an early car, the BMW wears later-spec aero, distinguished at the front by the updated front splitter. This particular arrangement came about in 1995, when aero regulations were relaxed for the international touring car formula in the wake of some dubious panhandling by Alfa Romeo in the BTCC championship. 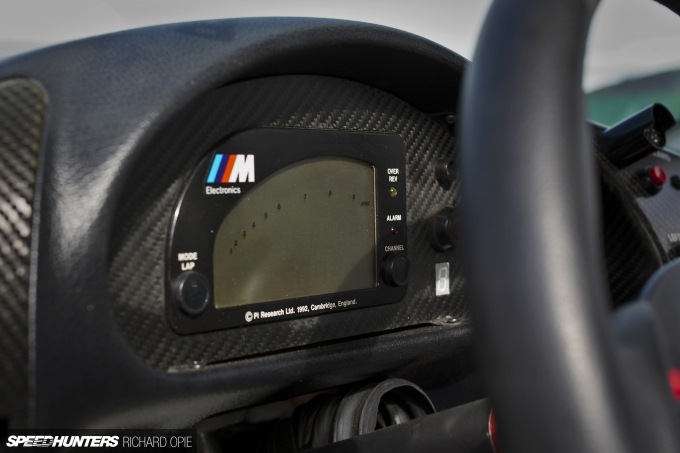 The driver’s view is all 1993 spec; again, that all important production car link in the form of retaining the factory dash supplemented by the original-in-period Pi Research digital display. 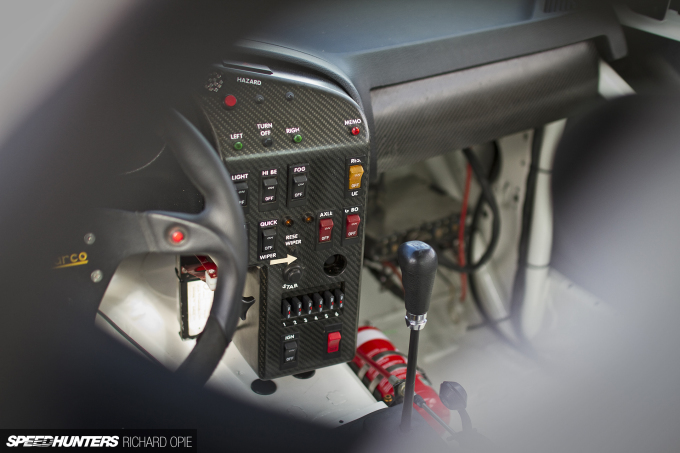 Without exception, factory prepared race cars have that particular attention to detail and clinical air of efficiency; important switchgear and fuses are close at hand on the carbon fibre center console, while the sequential shifter for the Holinger 6-speed rises tall above the tunnel, elegant in its functional simplicity. 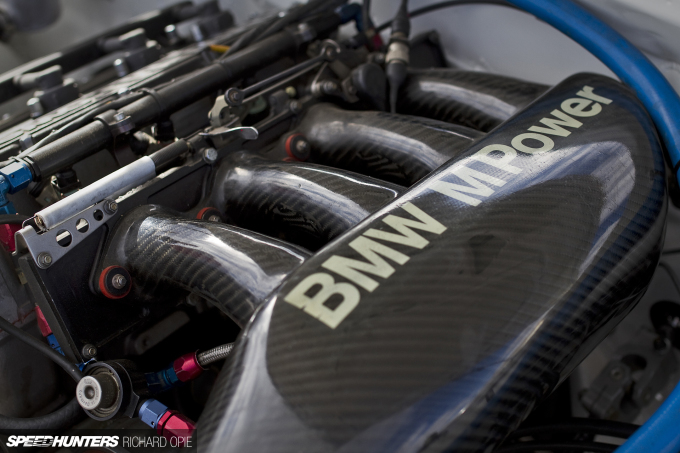 I could have milled around and taken in the BMW for hours; as I’ve banged on about prior, there’s just something that I find truly special about race cars the average human can relate to. The Super Touring formula did just that, enticing a myriad of manufacturers to get involved, which in itself created an intensely competitive landscape. Add a set of huge wheels and slam it to the ground; ensure a gruff induction bark at all times – perfection. An era to remember and always cherish – exactly what Lindsay and a group of like-minded individuals are doing right here in New Zealand with the formation of the country’s very first Historic Touring Car series for Group A, 2.0-litre Super Touring cars and similar. What this means to me is that I get to see this stuff in action more and more… We might see another Super Tourer spotlight here in future! It's easy to forget how large those rims/tyres seemed at the time. Now they are pretty common on road cars. Great article! Fantastic work, love the photos and enjoyed the read.. I am fully in agreement as well, there has always been a soft spot in my heart for the super tourers of those days. That being said, even with the historical importance it may have, the livery on this car does not sit right to me, specifically the color scheme. Then again, I'd take this car in a heartbeat even if the livery was pink, brown, and rust colored.. What a machine! Gotta love the trick little recessed mounting spot for the kill switch too, just goes to show, like you mentioned in the article, the attention to detail in cars like this is incredible. Wow, I'm so glad you went completely overboard with the photos! Especially the closer detail shots in the bonus images. Great post Richy! Factory prepared, so it began life in Germany, then Italy. Plus LHD cars are (usually) cheaper. Speedhunters True, but I love me a B&H Gold. 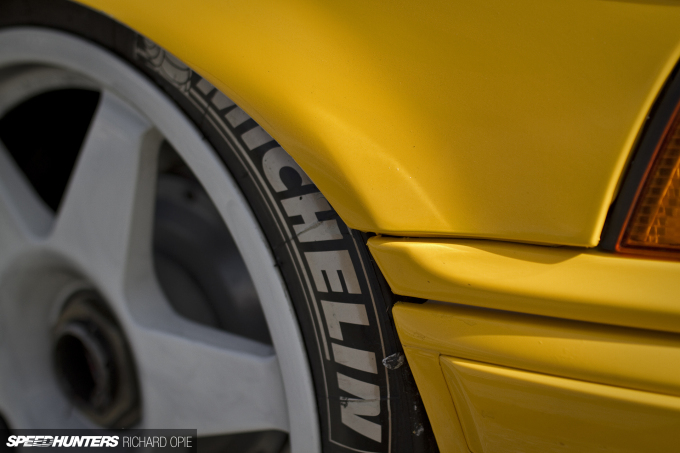 Speedhunters Love the E36 Bimmer. Still one of the best looking touring cars of all time imo. What an era for touring cars racing! Specs on the wheels and tyres? I really do miss this era of racing, now (In Australia at least) we're stuck with spec silhouette style racing. I would love for them to bring back Group A/B or even WTCC Group N regs and let the manufacturers build race cars again. More proof that marketing have taken over.. This may be of interest to a few. Thanks Richard for going "overboard" with the photos. Any glimpses of these cars are worth their weight in gold. Great photos Richard, this car will be driven by Longhurst in anger very soon at the Scope Classic, Ruapuna. Many other Genuine car will also be racing. Why is there in S14 (E30 M3) engine in the car? I thought the E36 coupes that BMW ran in the mid 90s for touring car championships were 320's that ran the S42B20, the racing variant of the M42B18 motor. Do you have any photos of the suspension?! They used Push Rod suspension in this era to allow for such low ride heights. McPherson on fronts, semi-trailing arms with multi-links on rear, like the "road" going version had. All suspension parts were bespoke to allow that low ride height. grantgrant You're almost right. 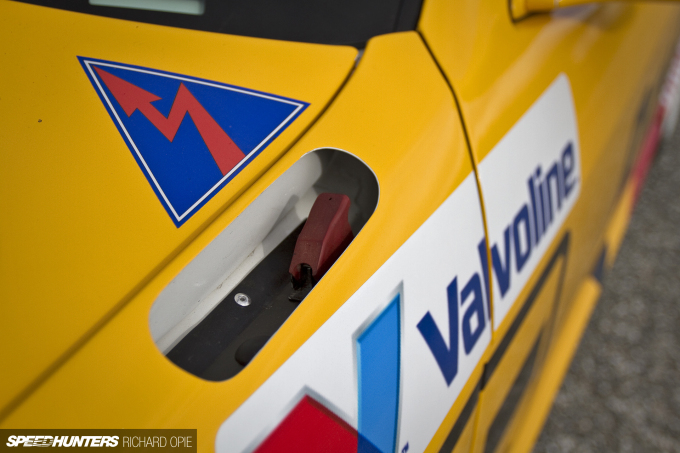 The S42 was debuted in the '95 season, prior to this the supertouring engine was a 2 litre S14, some claim derived from the S14B20 as found in the Italian E30 M3. 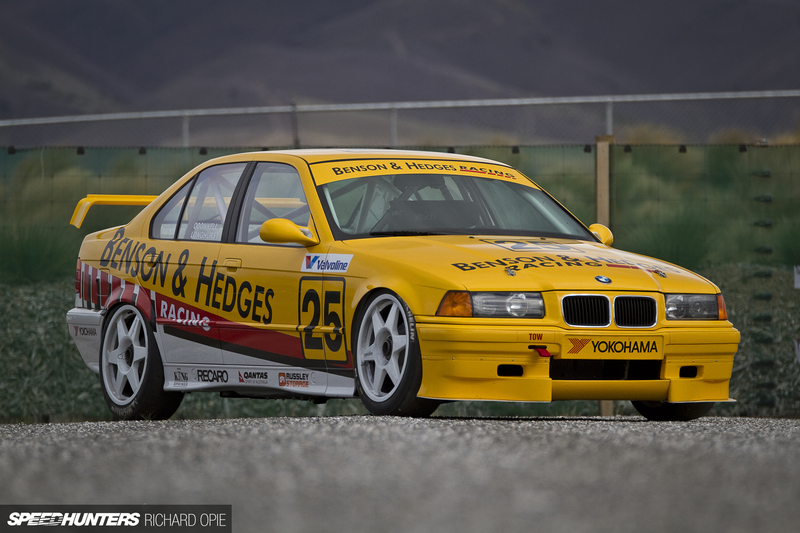 When this particular car came into NZ however, Lindsay did remove the supertouring spec engine and popped a 2.5l S14 in the car for endurance racing/reliability. @rexg It should be fixed for you now! Zakspeed65 I would have loved to get down for Skope and see Longhurst run the car, but I'm already committed to Leadfoot Festival! I really really hope the Historic Touring Cars flourish however, and I'm able to catch a round during next season, I'd love to do something for you guys to get the word out there! Verdigrie You're welcome! I've watched that clip many times - I've got a date with the Listerine BMW in the not too distant future, it's freshly restored and over here also. Shaunock I think it's not viable from a manufacturer point of view now - most of the professional teams had some form of factory backing or at least distributor backing in the 1990's, but now the current crop of WTCC/NGTC cars are largely 'privately' prepared affairs with very few teams actually benefitting from manufacturer involvement. I'd love to see something closer to a production car again myself but I'm not so hopeful. But that's why I'm digging GT3/Sportscar racing. niZmO_Man These should be 18x8-inch as per the regs of the time, unsure on tyre size sorry. @Zimdoc This car isn't - the suspension setups on these earlier cars are remarkably simple in appearance and close-ish to their production counterparts. If you ever get the chance, take a look under a 93-94 BTCC spec Mondeo - the setup amazed me purely by how simple it appeared! SnoozinRichy niZmO_Man Just able to make it out in one of the images - it's a 21/65 18 racing slick. 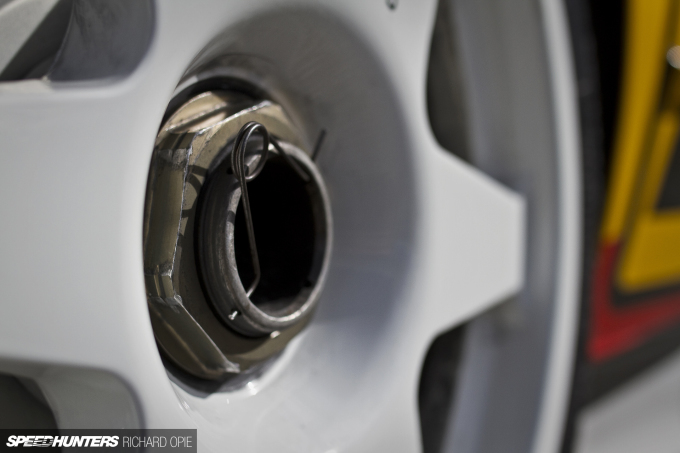 On Michelin's site that appears to be a... 205-section, perhaps? 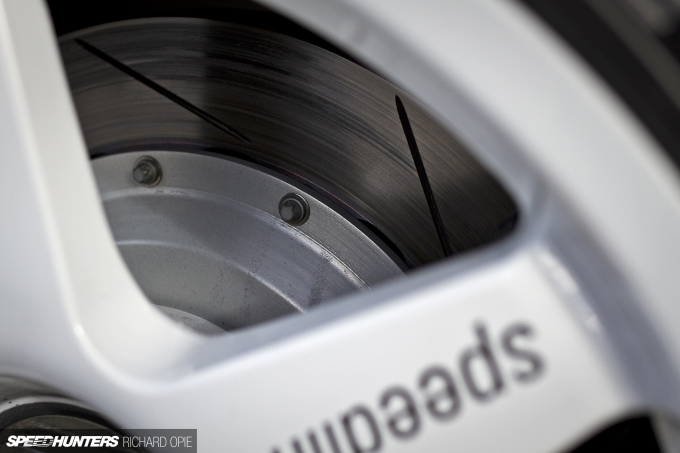 smallspeed Bradders That's interesting to know. I know many early BTCC cars were RHD simply due to the market the teams were in - Renault used RHD Lagunas, for example, even though as a French car it'd naturally be LHD. From what I'd understood, most later switched to LHD because it's better for clockwise circuits - the driver doesn't have an A-pillar obstructing their view on the majority right-hand corners, which became more of a problem as teams began to push the driver further back and lower down in the car. SnoozinRichy Curiously the 1992 Prodive 318is Coupes had 19s on them over here in the UK for the BTCC. 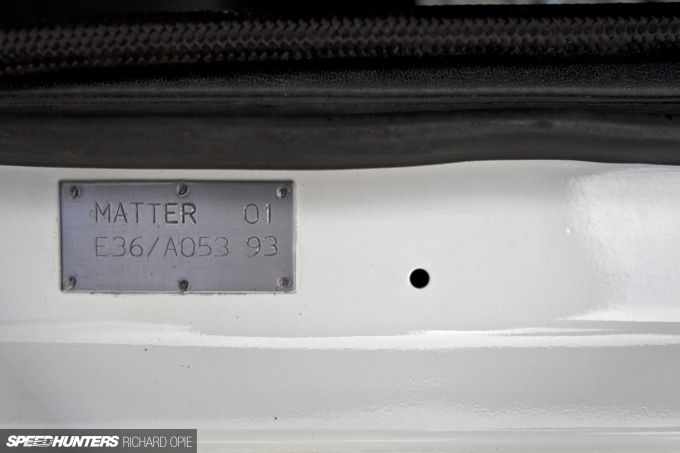 They were the only ones that did, the VLM/Listerine BMWs you mentioned earlier were 18s. And yes, that is Colin McRae, guest racing at Knockhill up in Scotland. I was there aged 7, and yes he was predictably spectacular - he ended up disqualified in one race for a particularly dangerous overtaking move. Who said slammed and cambered isnt functional? 90s touring FTW. 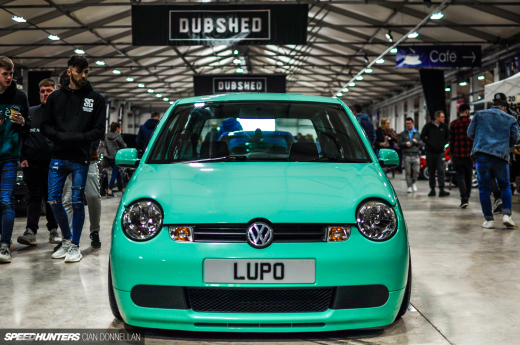 It's not slammed. The super tourer chassis and front shock towers allow for lower center of gravity. The suspension geometry is thus retained. The over all effect is a lower center of gravity. It is possible with some major modifications to do this to a standard road car e36 chassis. A small but important distinction should be noted with regard to Richard's excellent write up. The parent organisation for the fostering of the ownership, restoration and racing of these cars is the Historic Touring Cars (NZ) Association. We are dedicated to providing a sociable yet competitive environment for the exercising of cars with period race history conforming to a set of Association Regulations primarily for Touring cars from the Late 70's to early 90's. Our next two race meetings (Skope and Teretonga) in February 2016 are well subscribed and drivers include Jim Richards, Tony Longhurst and Gianfranco Brancatelli. As well as a stunning Group C BMW 635 CSI, Volvo "Brick", Colgne Capri and a swarm of M3s are a number of period Group A and NZ Touring Cars. 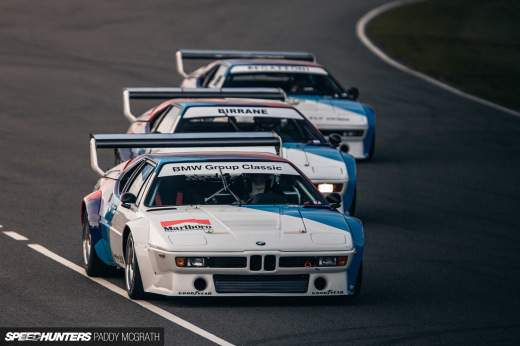 A grid of around 30 cars is expected and they will make for an evocative and historic spectacle. 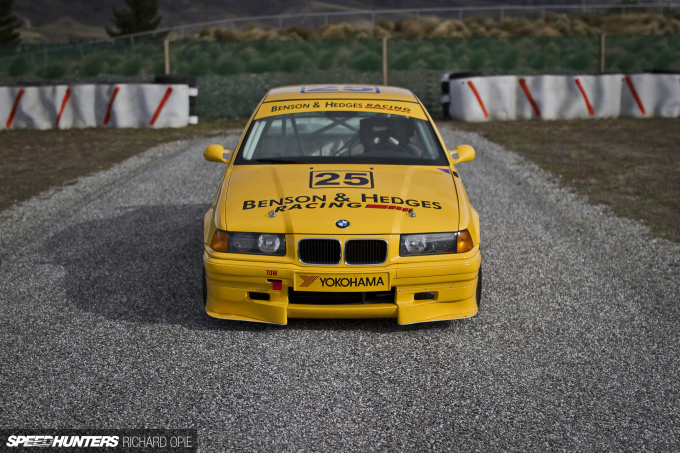 Is there a chance that we'll ever get an in-depth look at these WTCC E36s? Along with suspension work, setup etc? As in a nerdier article? Please? That'd be great! It's nice to see these tremendous cars getting the recognition that they deserve and NZ probably seems to be over-represented in the number of these rare and historic cars, per head of population! You also have Warren Good's Listerine E36 (this car actually won the BTCC in 1992) and Andrew Buist's beautiful looking Super Tourer recently restored to the Warsteiner livery that it ran in Germany for Team Bigazzi (94?). This car was out at the recent Ruapuna Club Day and was looking and sounding amazing. Plus Dennis Chapman has a couple. Bruce Miles has at least one (ex Diet Coke?). Aside from the BMWs, there's also Scott O'Donnell's ex-Paul Radisich 1994 WTCC winning Ford Mondeo and Graham Dodd's ex BTCC Honda Super Tourer in Christchurch also. SnoozinRichy grantgrant Italian/Portuguese 320is, it was a regular E30, a 325i replacement since cars over 2liters were heavily taxed. So limited the S14 to 2 liters, rev the hell out of it, and had almost the same HP as the early S14B23 ... amazing. @Joe Fox Saw the Mondeo a couple of days ago at Highlands, it's such a cool looking machine for something that looks so terrible in stock form. Plenty of photos, information and discussion in that thread. Hopefully you find it interesting. I remember watching Tony Longhurst drive this car as a kid! Super Tourers were the best race cars. Modern V8 supercars just don't have the same appeal to me.